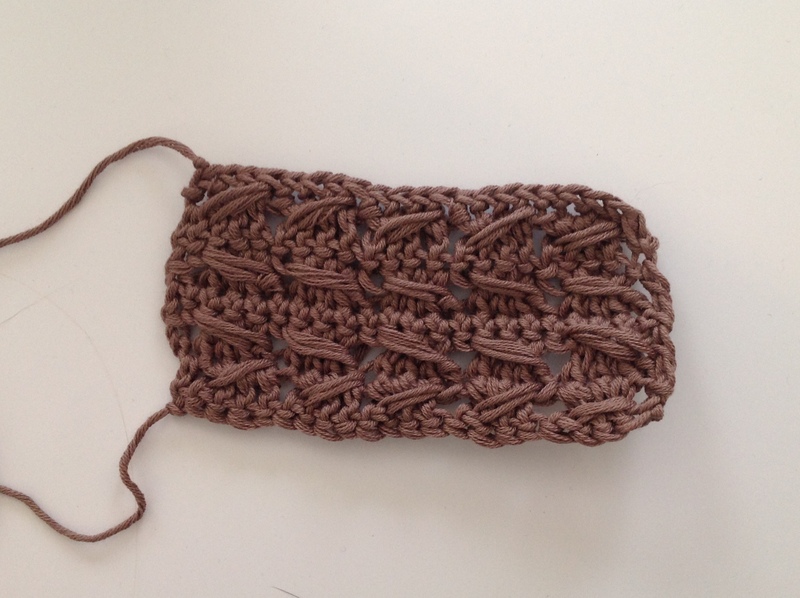 Another really simple one today: Cable stitch. It’s really just three trebles and a fourth treble being done over each group of three into a gap left earlier (doubles in US parlance). If you want the cables to zig-zag, then repeat the same stitch on each row, but if you want the cables to all point in the same direction, do a row of double crochet (US: single) on the return row so that you’re only doing the cable in one direction. That’s what I did in the middle of this swatch. Couldn’t be easier, tbh.